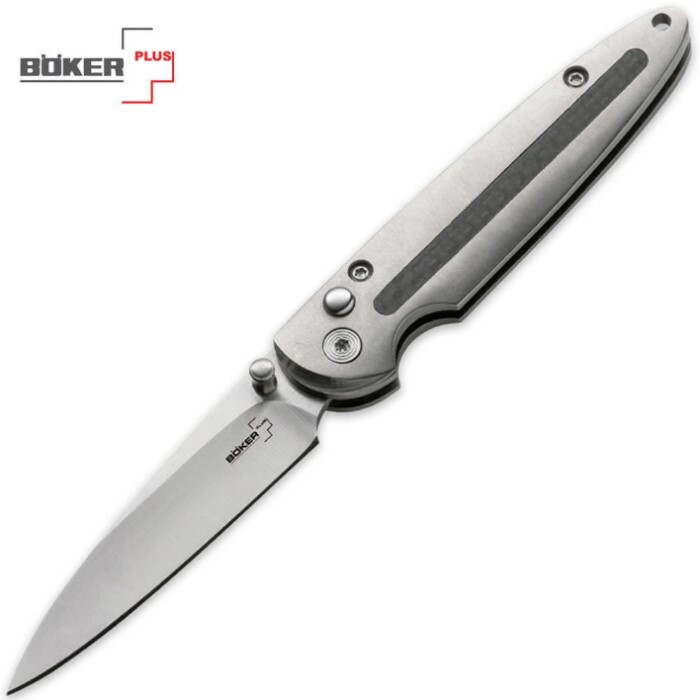 Boker Plus Panatela Pocket Knife | BUDK.com - Knives & Swords At The Lowest Prices! The Boker Plus Panatela is reminiscent of a Panatela cigar. The slim lines and compact size make this knife perfect for any gentleman. The hollow ground,two-tone 440C stainless steel blade can handle any task with grace. The Titanium handle offers a carbon fiber inlay as well as a button-lock mechanism.